Moldex Airwave Mask. 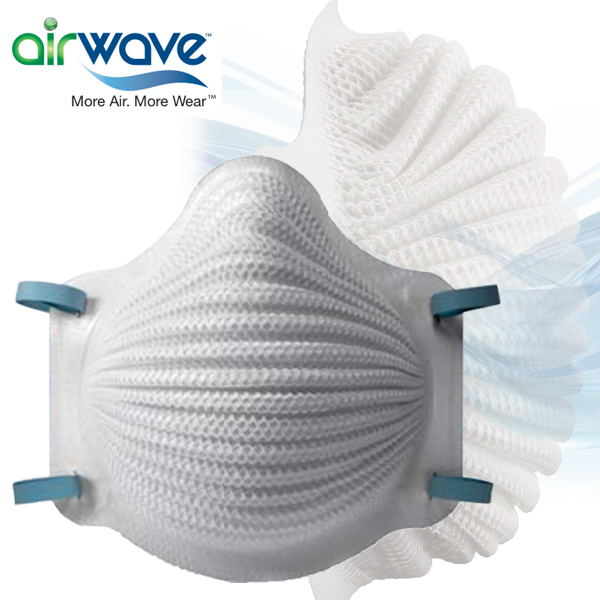 A revolutionary step forward from disposable respirators. Its patent pending wave technology allows easier breathing for cool comfort, providing protection all day long. Increase compliance and decrease costs! NIOSH approved. Made in USA. Models 4200 & 4201. 10 per box. 8 boxes per case.